SPACE exists to help millions of people to Find their Phone Life Balance. To support our mission, we offer a series of ‘real world’ services through our SPACE@ program. Whether you’re looking for an opportunity to learn more about healthy technology in an online group therapy service, over the course of a luxury retreat, or 1:1 through our counselling service, we have something for you. We know that changing habits is hard. That’s why we’ve created SPACE@Communities - your opportunity to change habits with like-minded people looking to find phone/life balance. These intimate coaching sessions of no more than 10 people are co-facilitated by Space Founder, Georgie Powell and digital well-being specialist, Megan Barnes Zesati, LCSW. You will learn about the science behind our relationships with our phones, why our habits are so hard to break, and what you can do about it. Some specific things YOU can do to take back control of your technology. On registering for this event, we will contact you with details to join via ZOOM. ZOOM is easy to access via web browser or app, and provides the highest levels of security required for confidentiality. SPACE@Retreats is an opportunity to live in the present again - to celebrate the brilliance of a simple life filled with good food, fresh-air, beautiful surroundings and loved ones. 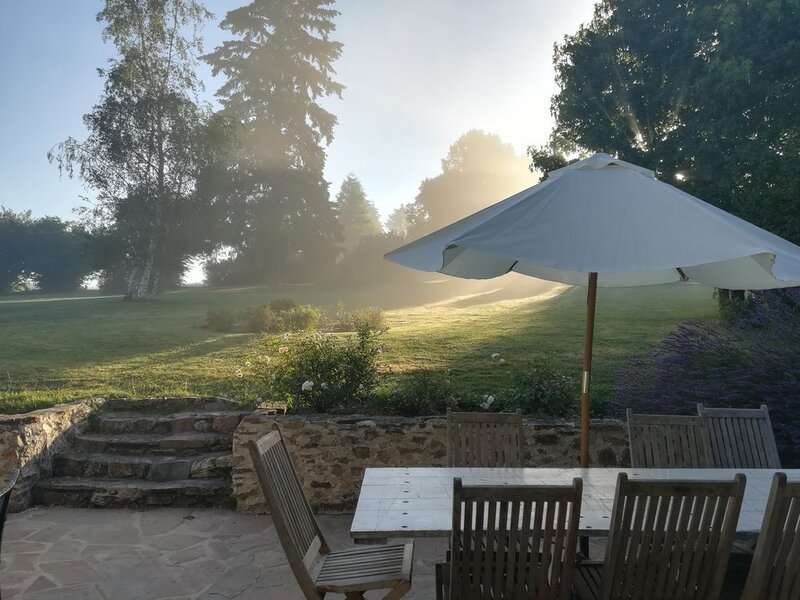 Our week-long retreats are held at the stunning venues of La Jugie in France and at the Gathering Oaks, in the US. By the end of the week, you’ll be equipped with the tools to improve your mental wellbeing, productivity, engagement, relationships and health. Your belly will be warmed by delicious food, your lungs full of air, and your heart and head ready to embrace your phone/life balance. This is not an enforced digital detox. It’s an opportunity to focus on being in control of when we use our devices. The week will provide you with an opportunity to reframe your understanding of technology so that you can start to change your habits in a sustainable way. Having said that, if you want to leave your phone at home, you are of course very welcome to. Or if during the week, you decide you need a digital break, then we are happy to keep your devices safe too. If you feel like your phone habits are having significant impact on your life, and that you need more support to find new ways to navigate the 24/7 world, then it might be worth considering some 1:1 support. Megan Barnes Zesati (LCSW) is a is a psychotherapist in private practice and the founder of Tequanimity. In 2017, she stepped away from her Downtown Austin Therapy practice of ten years to take a family sabbatical year abroad with her husband and kids. It was then that she started to appreciate the importance of mindful tech-use. For Megan, cultivating digital balance is about finding the middle way between extremes. Rather than sinking into rejecting despair of technology or blind embrace of it, Tequanimity calls us to cultivate digital balance with curiosity about our use, compassion for our imbalances and commitment to mindful use. Megan offers 1:1 coaching sessions to help you find your own tequanimity. You can connect with Megan through her website here. *Disclaimer - services offered by Megan are subject to the terms and conditions between Megan and her clients.